What's a sure way to turn math practice into an activity children will love? Use snacks! 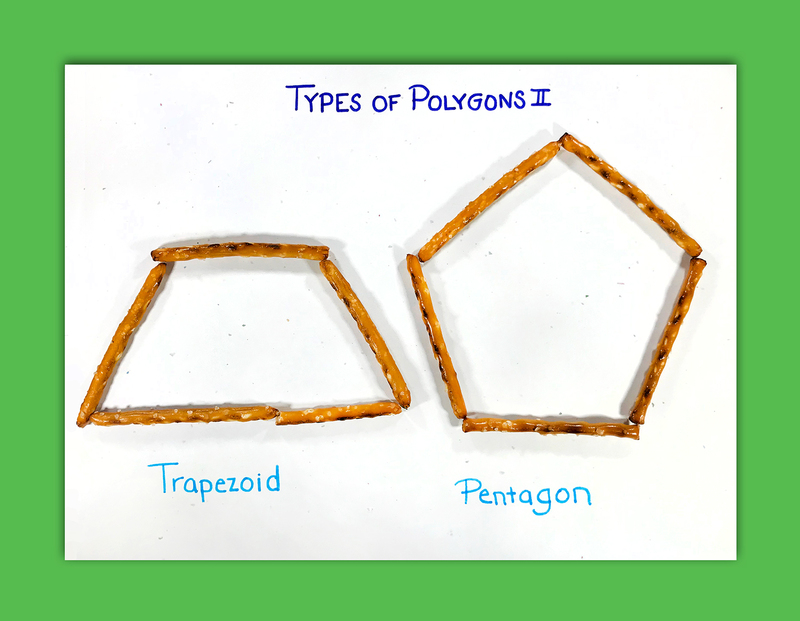 The following activities use pretzels to help students practice basic geometry concepts, including angles, lines, and polygons. Read on to find out more. 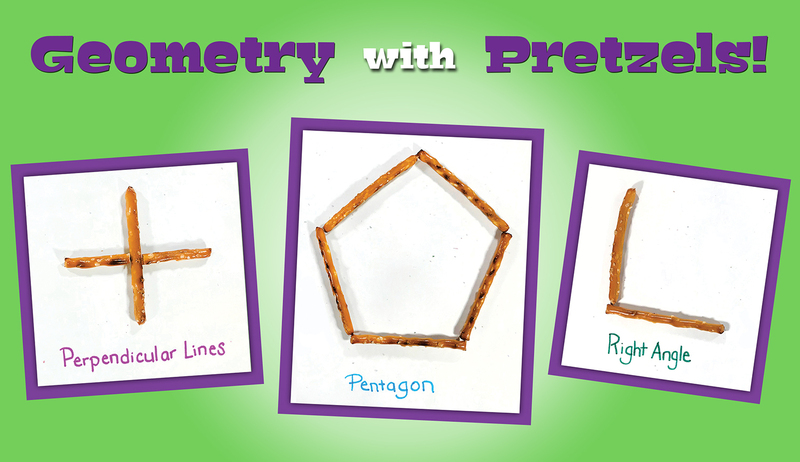 Get ready to practice geometry skills (and munch on a few tasty treats too!) All you need for these hands-on math activities are pretzel sticks, markers, and a few sheets of paper. Any of these activities are ideal for classroom learning centers, and you can also encourage your students to do them at home with their parents. 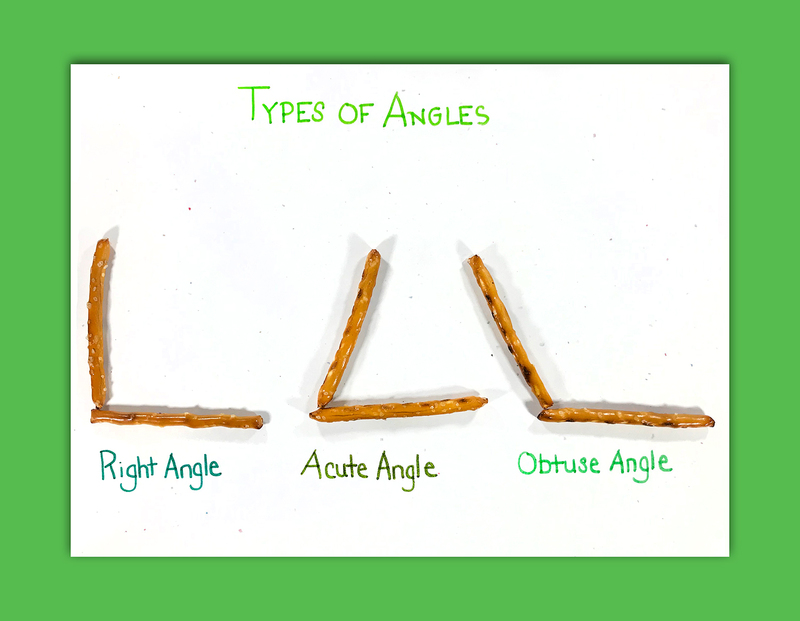 Use pretzel sticks to make a right angle, an acute angle, and an obtuse angle. Label each angle with a marker. 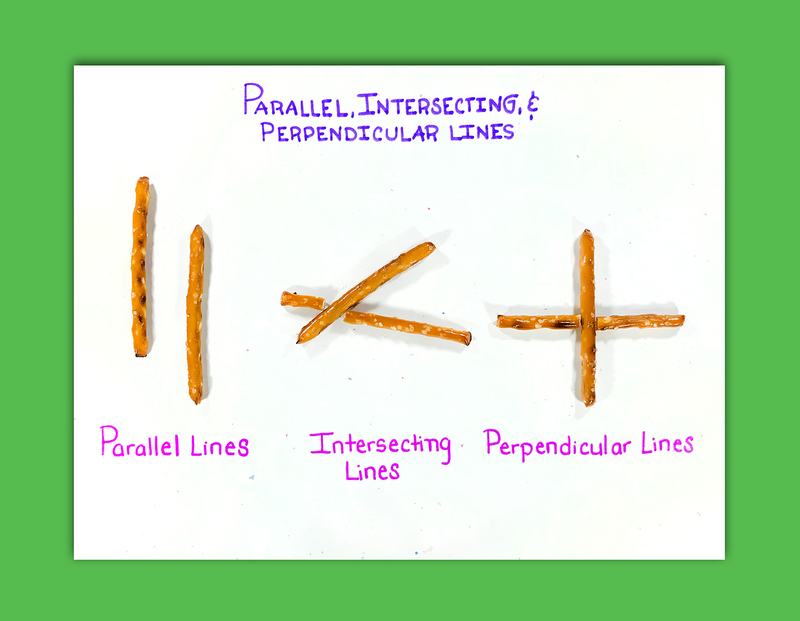 Make parallel lines, intersecting lines, and perpendicular lines out of pretzel sticks. When you make the perpendicular lines, you can snap a pretzel stick in half. Make sure the perpendicular lines have right angles. Label the types of lines with a marker. 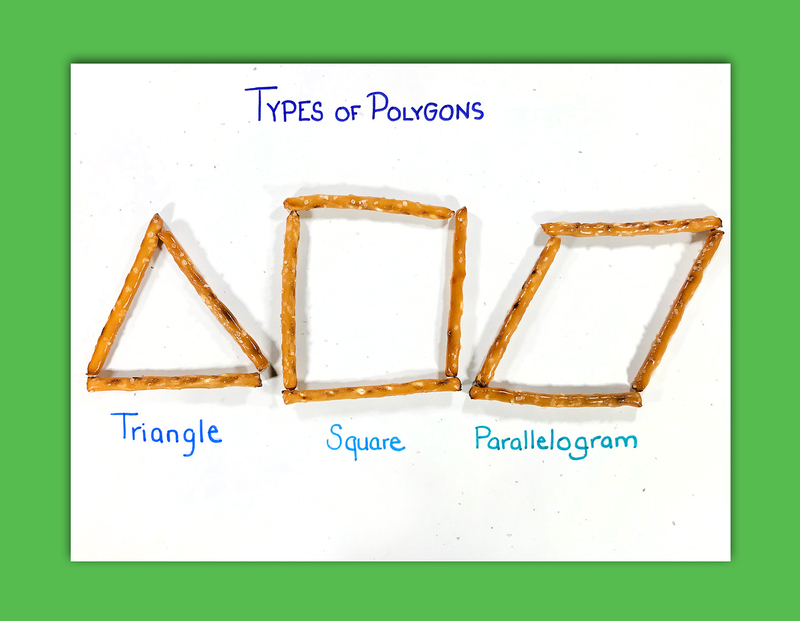 Construct a variety of polygons with your pretzel sticks. In the pictures below, we made a triangle, a square, a parallelogram, a trapezoid, and a pentagon. Be sure to label each polygon. It couldn't be much easier (or tastier!) to practice basic geometry skills. What do you think of these math snack activities? How do you incorporate snacks into your own math skills practice? Drop us a line in the comment section below! Be sure to explore our geometry lessons for different grade levels on iKnowIt.com! Thank you! Your comment has been submitted. "An interactive math practice site that makes learning more fun."